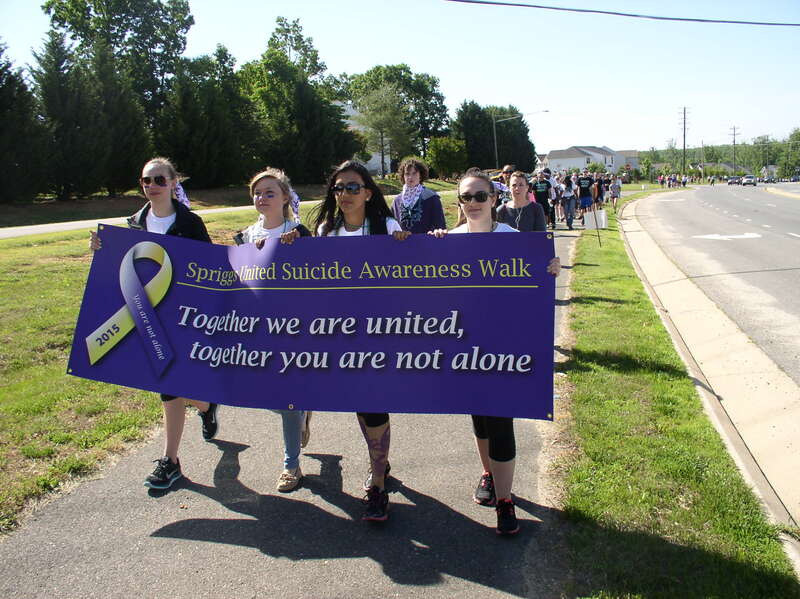 Hundreds of walkers took part in a six-mile trek along Spriggs Road in the mid-county area last weekend to raise awareness about teen suicide. Prince William County school officials estimated that more than 400 people participated in the walk, a round trip between Forest Park and Hylton high schools. Although most of the walkers were high school students, participants included young children, adults — some pushing strollers — and even a few dogs. Students in Advanced Placement government classes at Forest Park organized the event as their final project, which their teacher, Shannon Geraghty, allowed them to do in place of a final exam.